The lift opens with a gentle “ping”. Skilled, professional staff greet your visitor. Invited to wait in comfortable, stylish surroundings, what is their focal point, the one thing in reception that’s drawing attention and inviting compliments? It may be the luxury, hand-crafted executive reception desk from Earthy Timber. An elegant piece of furniture such as this speaks volumes about you, your organisation and the high regard in which you hold your clients. With prices from £10,000, a striking, stunningly attractive one-off piece in arguably the most important space in your office and it also reflects your corporate identity. A reception desk expertly fashioned from a substantial, single, continuous piece of warm-hued Oak, or any other English or European timber, is surely the most unusual yet effective way to deliver a key message about your brand. You may however wish us to join two pieces of timber together with our specialist Earthy Joint techniques. 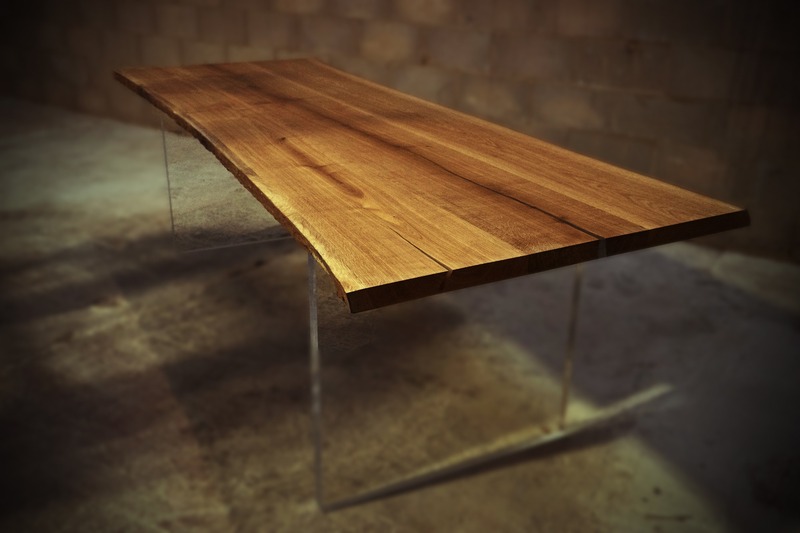 What will a desk from Earthy Timber say about your business? The natural patterns, striations and imperfections within wood are enhanced and expertly finished, with our unique kiln-drying process ensuring that the wood stays durable and beautiful for ever. Your statement piece comes complete with customised, artisan-crafted table legs and bases, subtly supporting the main event and letting the natural beauty of the wood take centre stage. A reception desk from Earthy Timber merges practicality with high-end art. Functional, and hard-wearing, we work with chemical engineers who have developed a special resin with which to encapsulate table corners, as well as incredibly skilled methods to fill in natural gaps to allow light through. The live edges can be preserved and enhanced, as can the bark. Finally, a subtle sheen makes the wood come to life, with durable finishing techniques to capture its natural beauty for ever. Earthy Timber’s Unique Kiln-Drying Process. We are the only wood design studio of our type throughout the UK to own and operate our own on-site vacuum kiln-drying chamber. With its superior technology, the moisture content within your selected piece (or pieces) of timber will be removed to below 10%. 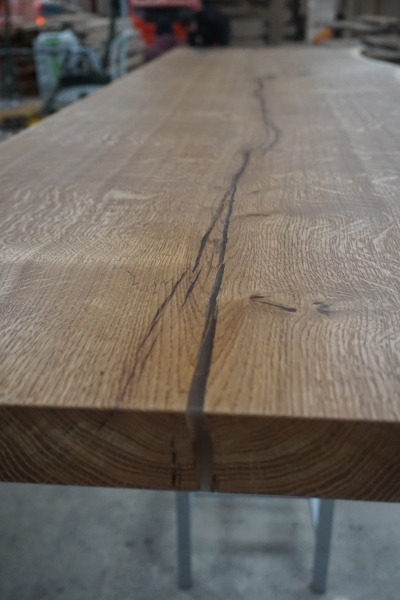 Completed with care and attention and with the expertise of our skilled technicians, this ensures that after “resting”, the wood remains robust and long-lasting. It won’t shrink or warp. It WILL look beautiful for ever. Whatever the nature of your business, a luxury wooden reception desk from Earthy Timber will simply take your breath away. Please use our contact form to send us the details of your project. We are looking forward to hearing from you.